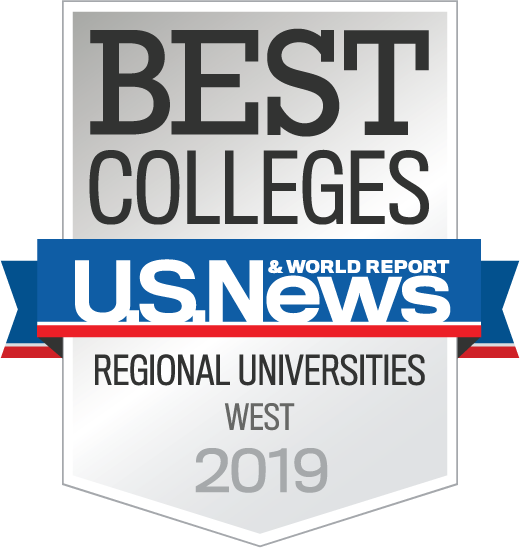 LeTourneau University ranked 28th in the top tier of the national 2018 U.S. News and World Report’s annual rankings of “America’s Best Colleges” in its category of “Best Regional Universities in the Western Region.” This year marks the 25th year the university has ranked in the top tier of its classification. Among “Great Schools Great Prices” ranking of schools that provide a Best Value for regional universities in the West, LETU was ranked 12th. Among “Best Colleges for Veterans,” LETU was ranked 17th. LETU was also recognized among “A-plus Schools for B-students.” These universities provide opportunity for students accepted for their spirit and hard work. U.S. News ranks colleges and universities among other schools with similar programs and degree offerings. Indicators used to determine the rankings include academic reputation, retention, faculty, class sizes, SAT and ACT scores of incoming freshmen, average graduation rates and assessments by administrators at other peer universities. U.S. News rankings are released each fall and are considered the most notable of the annual published college rankings. LETU’s engineering program ranked among the top 50 engineering programs in the nation and was in the top two best engineering schools in the state of Texas, among similar schools with programs whose highest degree is a bachelor’s or master’s degree. LETU was ranked 45th in the country. The rankings, which include nearly 1,800 schools nationwide, are available at www.usnews.com/colleges beginning Sept. 10. LeTourneau University is the Christian polytechnic university in the nation where educators engage students to nurture Christian virtue, develop competency and ingenuity in their professional fields, integrate faith and work, and serve the local and global community. LETU offers 140 undergraduate and graduate degree programs across a range of disciplines and delivery models at LETU’s residential campus in Longview, Texas, and in hybrid and fully online options at educational centers in the Dallas and Houston areas. For additional information, visit www.letu.edu. Dr. Dale Lunsford became the sixth president of LeTourneau University in 2007, after a national search by the Board of Trustees. With an unapologetic commitment to Christ-centered education and excellence on a global scale, he is leading the university's strategic vision to claim every workplace in every nation for Christ. "The future is exceptionally bright for engineering students. There are grand challenges to be solved for the societies around the globe and you can be a part of a team that pursues these complex challenges."